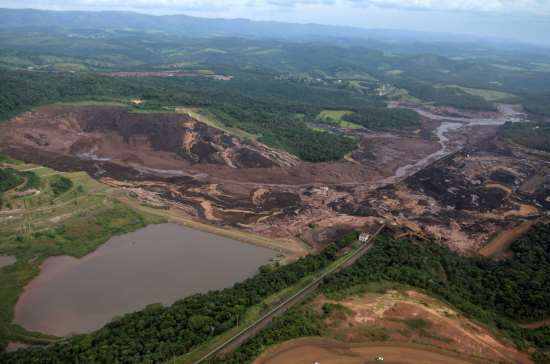 Vale will take up to 10% of its output offline to decommission 10 dams similar to the one that burst on Friday in the Brazilian town of Brumadinho, killing at least 84 people with hundreds still missing. The decision to cut production was announced by Vale’s chief executive Fabio Schvartsman as the company faces up to its appalling recent safety record, following the second fatal dam collapse in Brazil in just over three years. The move is expected to cost Vale US$1.3 billion over the next three years and will involve suspending operations at mines producing 40 million tonnes of iron ore and 11 million tonnes of pellets per year. News of Vale’s output cuts sent metal prices soaring along with the share prices of its rival miners, including BHP, Rio Tinto and Fortescue Metals Group. Chinese iron ore futures jumped in early trade on Wednesday, while Australia’s benchmark metals and mining index had its best day in two years. Meanwhile, Brazilian police carried out five arrests in São Paulo and Belo Horizonte as a criminal investigation begins into the causes of the dam collapse at the Feijao mine. Police arrested three Vale employees and two engineers from German auditor firm TUV SUD.